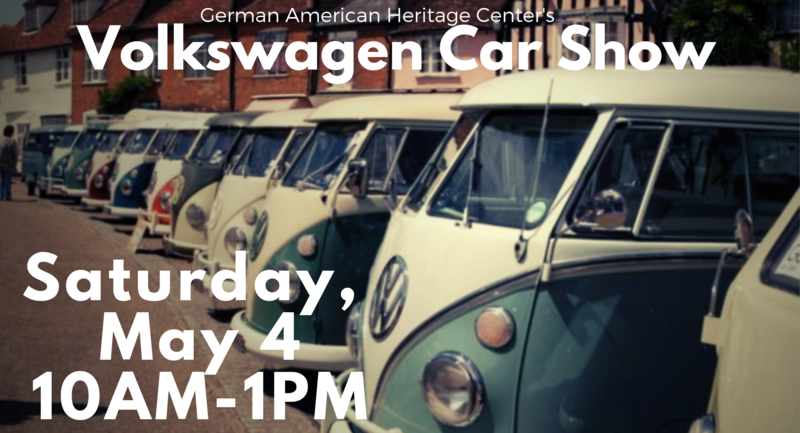 It’s that time of year again for the annual Volkswagen Car Show at the German American Heritage Center on May 4th from 10 AM to 1 PM! Admission to the show is FREE! Join us for a fun-filled day of classic Beetles, Westfalia vans, kit cars and more! Come and see the history of one of Germany’s most iconic car brands right in our parking lot and enjoy a brat from our friends at Jerry’s Market! See you soon! Bis später!